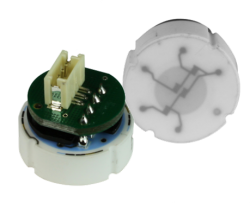 The CPA 502 Series features a ceramic pressure sensor with piezoresistive technology and flush diaphragm design. Product highlights include excellent chemical resistance and easy assembly into application specific packages. Using thick-film technology, the measuring bridge is printed directly onto one side of the ceramic flush diaphragm. The structure-free backside can be directly exposed to the medium to be measured. Due to a high resistance to chemicals, additional protection is not necessary. On the basis of solid construction, these sensors are mostly unaffected by clamping effects after mounting. As a result, OEM customers can easily install them in different housings. 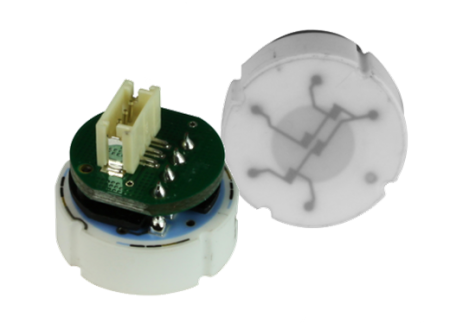 The ceramic sensor has been specially designed for pasty, polluted, and aggressive media.